Simplicity at its finest. 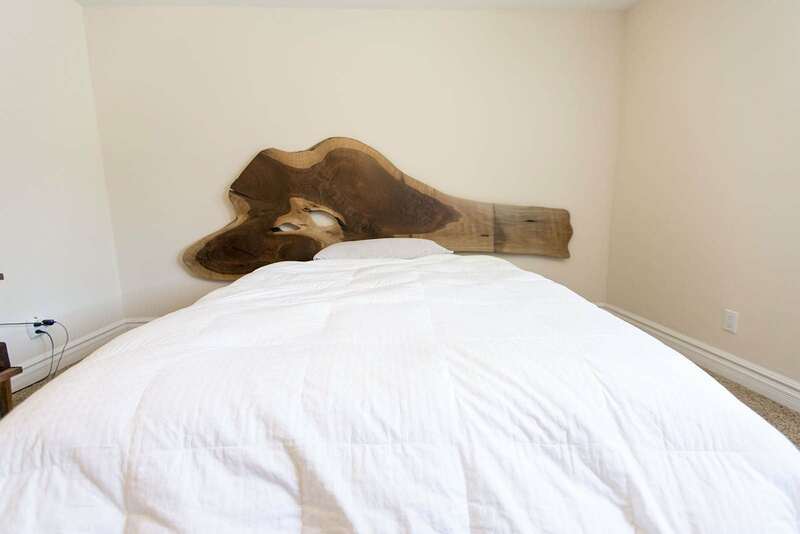 This Porter Barn Wood headboard project provides a minimalist yet very classy design. 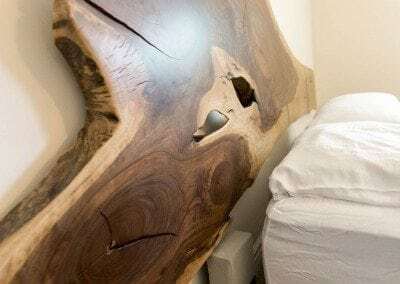 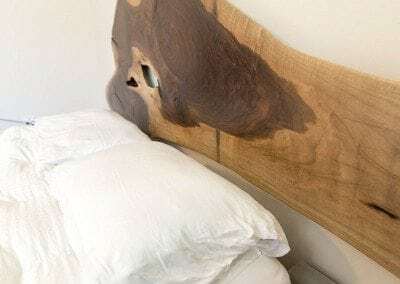 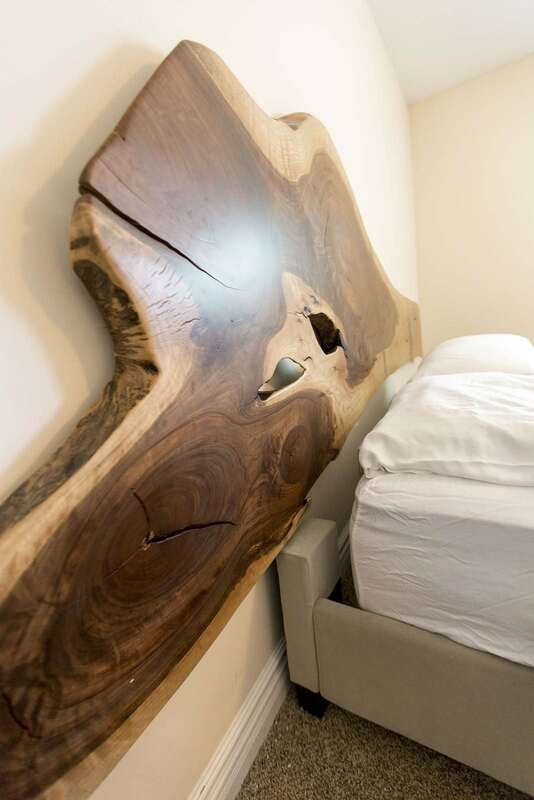 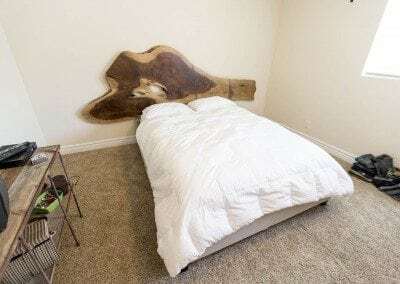 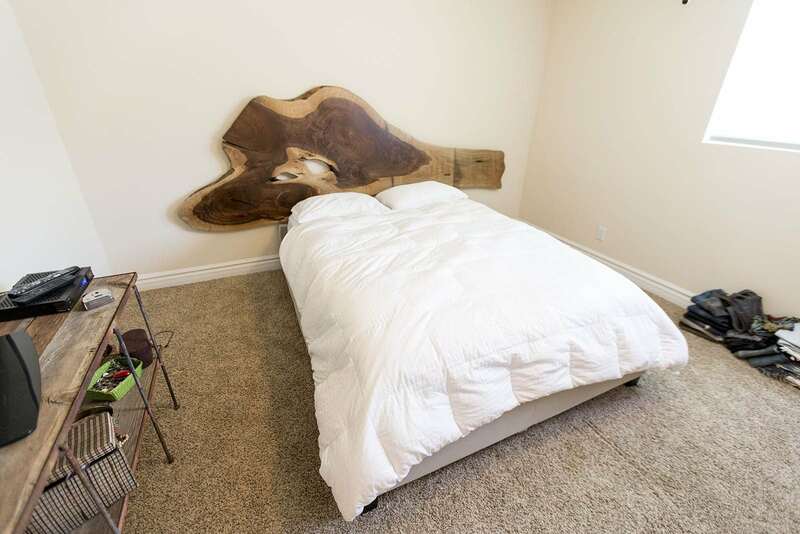 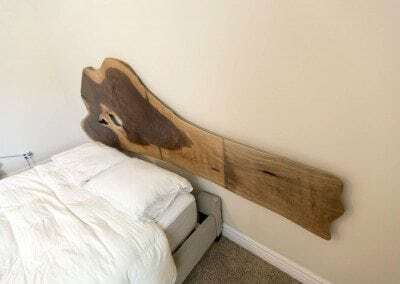 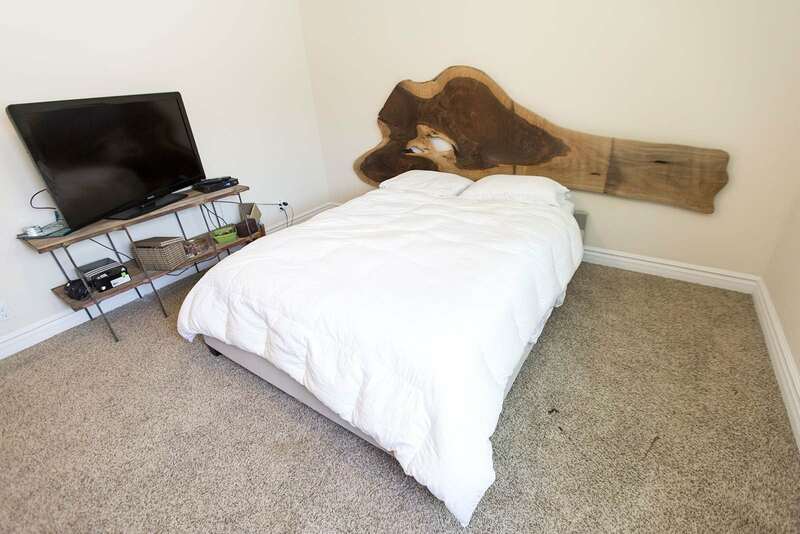 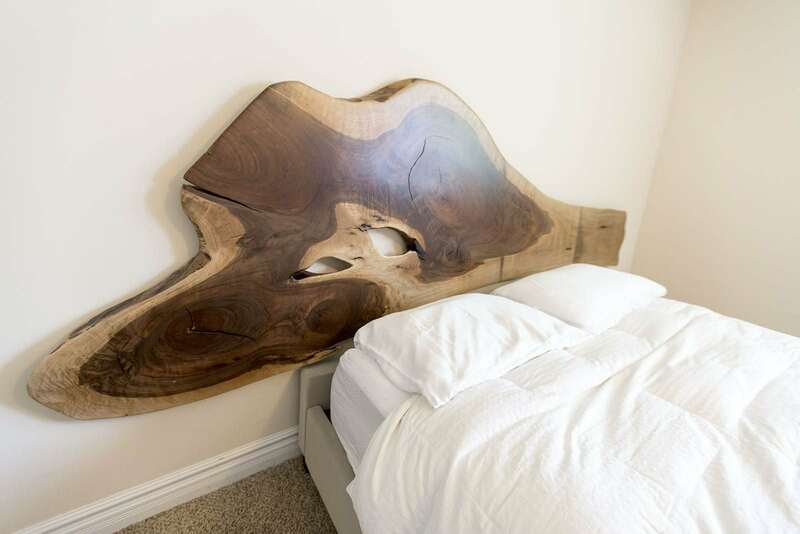 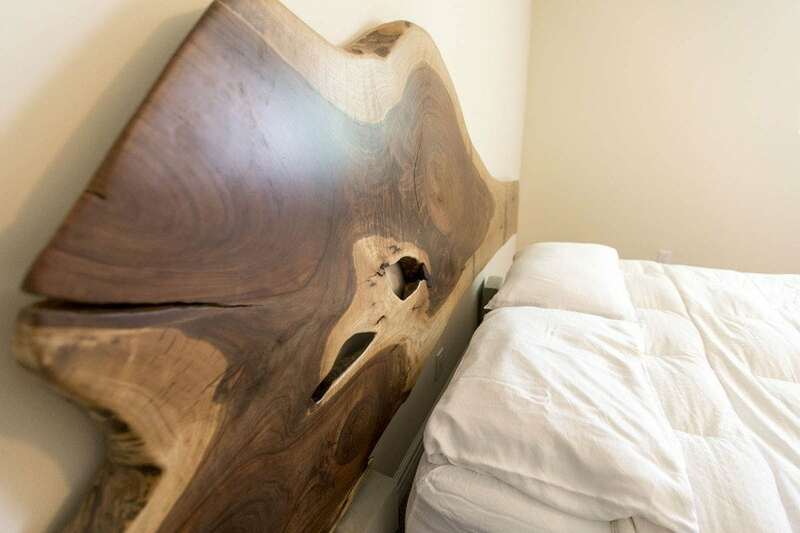 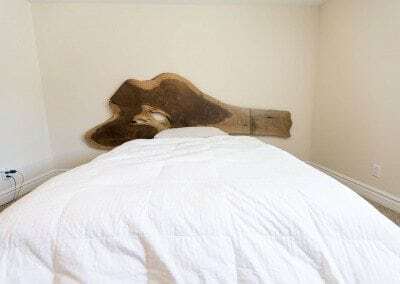 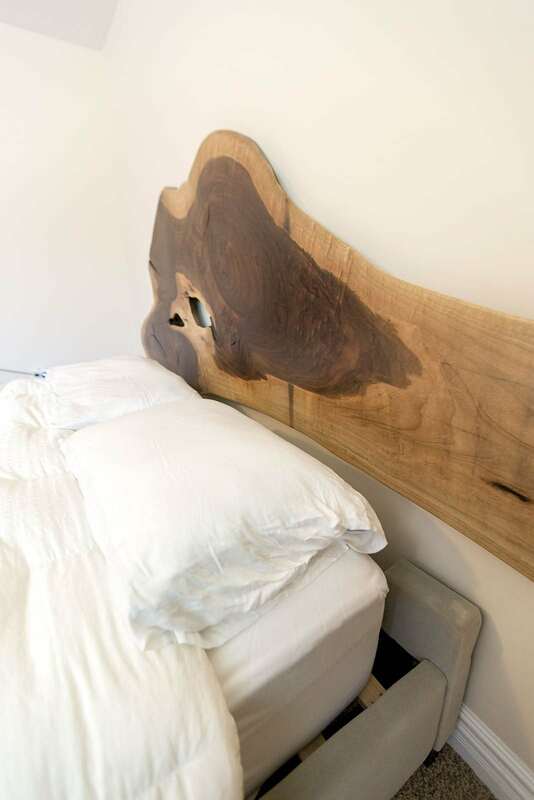 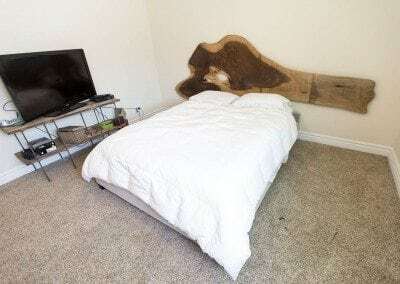 This Live Edge Walnut slab is mounted directly to the wall with no attachments to the bed frame.